With so much demand, why aren’t more builders bringing inventory to the market? According to the National Association of Home Builders, a crackdown on immigration and tariffs on imported lumber have made home construction more difficult and expensive. Those factors – combined with the rising cost of land and increased zoning requirements – have put a damper on the industry overall. Still, there’s evidence that a modest rise in the rate of new building projects may be on the way. Freddie Mac predicts new housing construction will increase slightly after a stall last quarter.2 And a recent report by Freedonia Focus Reports forecasts an annual increase in housing starts of 2.4 percent through 2022, led by an uptick in single-family homes. The boost in inventory should help drive sales growth and relieve some of the pent-up demand in tight markets. The Federal Reserve has taken measures to help keep the housing market – and the overall economy – from overheating. It has raised interest rates twice this year so far, causing mortgage rates to surge in the first half of the year. While national real estate numbers and predictions can provide a “big picture” outlook, real estate is local. 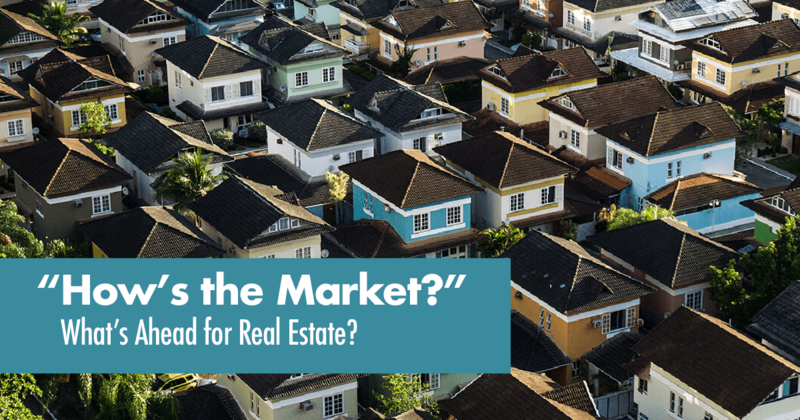 As a local market expert, Ican guide you through the ins and outs of our market and the issues most likely to impact sales and home values in your particular neighborhood. If you have specific questions or would like more information about where I see real estate headed in our area, let me know! I am here to help you navigate this changing real estate landscape.